We’re pumped up for Orlando´s newest attraction. A Bobdyn gray kitchen that rivals Mickey’s kitchen. 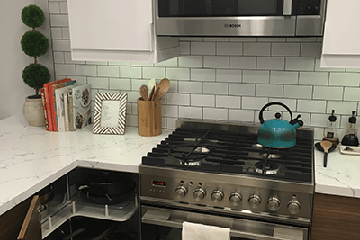 Today we’re sharing Nawaf’s complete IKEA kitchen renovation. Here’s another shot of the old kitchen. We liked the flexibility and functionality of IKEA cabinets. They offer tons of options and accessories be it the cabinets themselves or the organizers that go in the drawers/cabinets. Of course, the idea of just going to Ikea and picking up a new drawer front or door if one gets damaged was very appealing. It makes life easier. We wanted a turn-key design solution in a sense where we provide input of how we want the layout and receive the design as well a complete list of all the materials we need from Ikea. The reviews about the Ikea planner are about helping users to design a perfect kitchen but does not include everything you need. We wanted to avoid making multiple trips to ikea during the construction phase. The list that IKD provided was right on point and our contractors were thankful! We wanted to change our kitchen layout as it was very closed off. 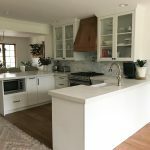 At the same time, be able to open the kitchen up to the main living area so we could have an open floor plan as well as put in a large island that we always dreamed about. We needed to remove a wall that blocked the view into the living area. This wall contained our plumbing. We wanted to move the plumbing so we could have our sink and dishwasher in the island. This also meant relocating electrical. Wanting to remove a pantry closet and use Ikea’s tall cabinets as a pantry instead was a clever decision. Again this required removing walls and moving electrical. All this would require extra down time for the kitchen but it was totally worth it. 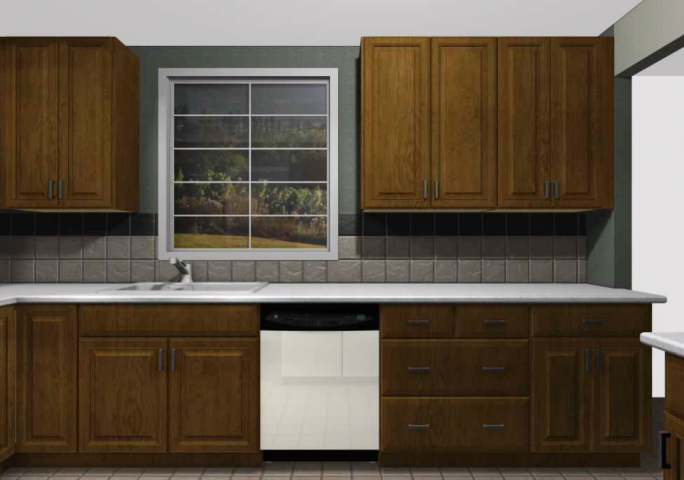 Just envisioning how the kitchen would turn out once complete. For instance, It is one thing to have it in drawing and another as a finished product. We didn’t want to have any regrets. However when the kitchen was complete, it came out more beautiful than we could have imagined with the super-high IKEA Bobdyn kitchen look. Definitely HOUZZ and Pinterest. No doubt, those 2 sites were the main inspirations of our design as well as some other sites. The kitchen look was certainly nailed with this super-high IKEA Bobdyn cabinets all the way. No gap between the cabinets and the ceiling. On the other hand our ceilings were just over 9ft so we were able to use the standard cabinets with the 15” cabinets on top with deco strip. We definitely got the super-high IKEA Bobdyn kitchen we were looking to get. Clever storage design and custom island. It looks awesome! We went with Silestone Statuario Quartz. It is exactly what we were looking for. White with very light veining. Use IKD! 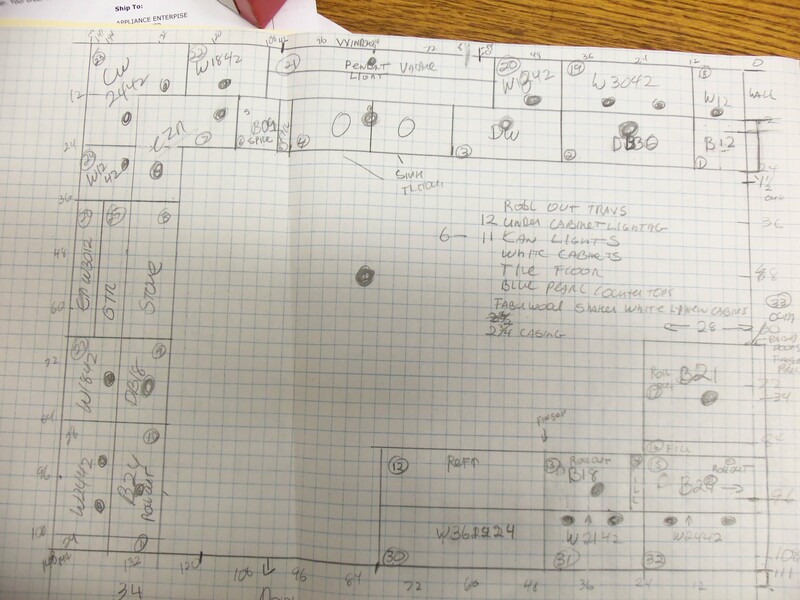 It will save you tons of headaches since the design is all laid out for you with every parts list given to you including all the extra items that the Ikea Planner does not take into consideration. It is worth the money and more! This was such a helpful post! Thank you for sharing Nawaf! And of course, we haven’t left you empty-handed. 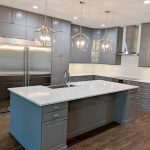 We’ve designed a lot of IKEA kitchens using tall cabinets: How to close the space between the ceiling, along with some extra tips to keep in mind as we create your online IKEA kitchen design. To start your own IKEA kitchen makeover, get in touch with one of our designers today! 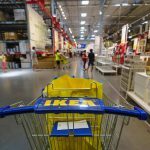 If you’re in the market for a new IKEA kitchen, the IKEA Home Planner looks like a great option to design your kitchen. You can play interior designer, select and place furniture, try various styles, even view in 3-D.
You can plan your dream kitchen, send a design and product list to your local IKEA store, pick up everything you need and start turning your vision into a stylish new kitchen. Easy peasy, huh? Well, not exactly.